I try not to let the deaths of people I’ve never met affect me too much. Life’s big and loud and emotional enough when you’re just dealing with the people who are physically there in your life, those wonderful people that you can hug and touch and punch. If you start letting yourself get overly emotionally affected by that other whole universe of people.. Those people of whom you are aware but who aren’t aware of you, those spirits who dance within the tellies and across the cinema screens of our lives.. Well, the whole thing just becomes unmanageable. So, when one of those people dies I tend to just raise a glass and move on. 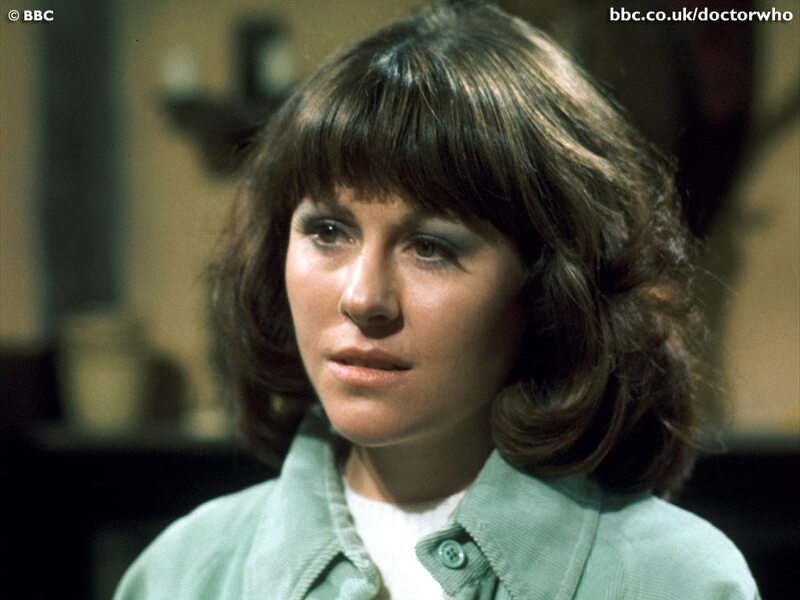 I seem to be having a bit of trouble doing that with regards to Elisabeth Sladen, the wonderful actress who played Sarah Jane Smith in Doctor Who and cheerful CBBC spin-off The Sarah Jane Adventures. I heard about her sad death from cancer last night, via the Grim Reaper’s usual 21st century information service of choice; Twitter. It was one of those stories that seemed to have gained an awful lot of ground before it had actually been reported by a reliable news source, and for several minutes I hoped it was a hoax, or a mistake. See, I just can’t seem to process Lis Sladen’s death. Partly because she always seemed so energetic and vital, (not looking anywhere near her 63 years, but not looking like someone ‘trying to look young’ either), but also because she’s always been there. I was so young when I first saw her in the role of Sarah Jane that I literally cannot remember life beforehand. She was the first companion that I ever remember seeing onscreen and although she’d left the role by the time I was old enough to watch Doctor Who without running away and hiding around the corner, when BBC video released Revenge of the Cybermen as their first ever VHS release of Doctor Who I rented it repeatedly. She left an indelible impression on me. It’s a tough gig doing the whole companion thing, especially in old-school Who. Elisabeth Sladen made it look effortless. By all reports she was as generous and kind in real life as one would dearly wish their onscreen heroes to be, a standard that precious few ever live up to. I love the fact that she came back to the show, and that she gained a whole new generation of fans over the last few years. Can’t help feeling for them too, today; if I’m left reeling by her loss, what effect must it be having on the legions of young fans who were eagerly awaiting the new series of Sarah Jane Adventures later in the year? Rest well, Elisabeth, and thanks for the memories. You meant an awful lot to an awful lot of us. ← “Sale” at the video shop..